Earlier this year, Instant Pot announced that they were adding a multicooker to their line that would include a canning setting. The internet (well, as least the portion of it interested in home food preservation) went wild with hope and curiosity. Would this be the electric pressure canner that many of us have hoped for? It quickly became clear that the answer was no. The Instant Pot Max is a very able electric pressure cooker that has the ability to go up to 15 pounds of pressure, but it is not the electric pressure canner of our collective dreams. There are a couple reasons for that. 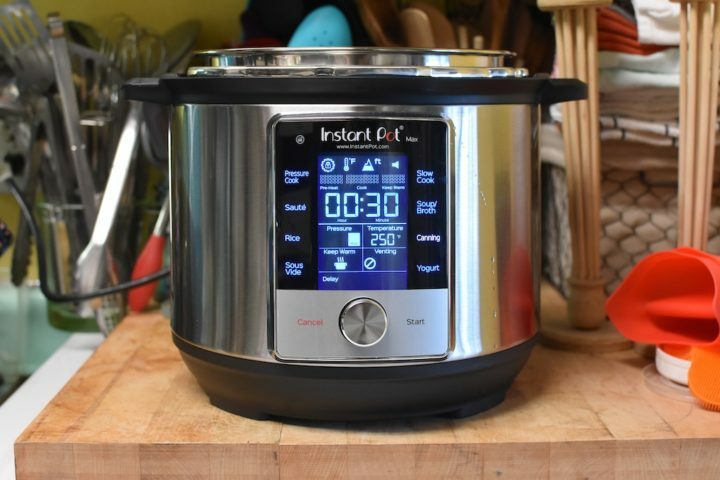 The first is that no testing has been done by the National Center for Home Food Preservation or any other US-based cooperative extension to determine if products processed in the Instant Pot Max reach a sufficient internal temperature to kill off any botulism spores that might be present. 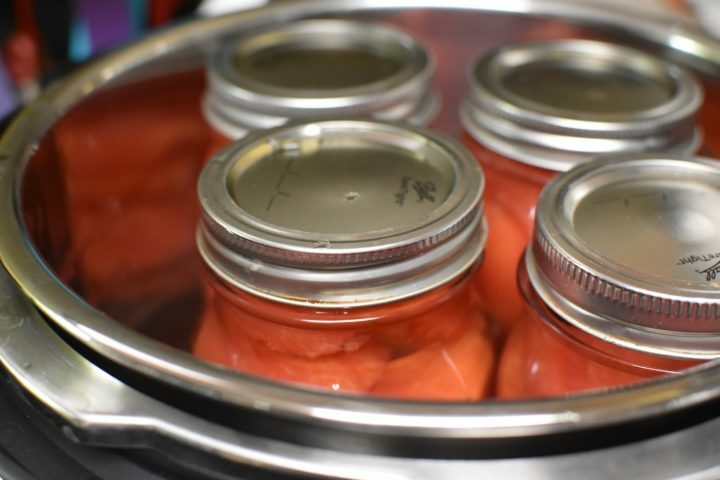 Additionally, when pressure canning times are developed, the time required to come up to temperature and back down again are factored into the total process. These pre- and post-processing times are altered with an Instant Pot Max and there’s no understanding yet of how that change will effect the finished product. Setting aside the first reason (which pretty effectively shuts down one’s curiosity about the device from a canning perspective), the second reason why the Instant Pot Max isn’t an ideal canning vessel is simply its size. It’s a six quart pot and can only hold four pint jars. If you are someone who does pressure canning on any scale, you will find this limitation totally infuriating. There’s very rarely an instance when four pint jars is the sum total of a batch of stock, or beans, or pumpkin cubes. 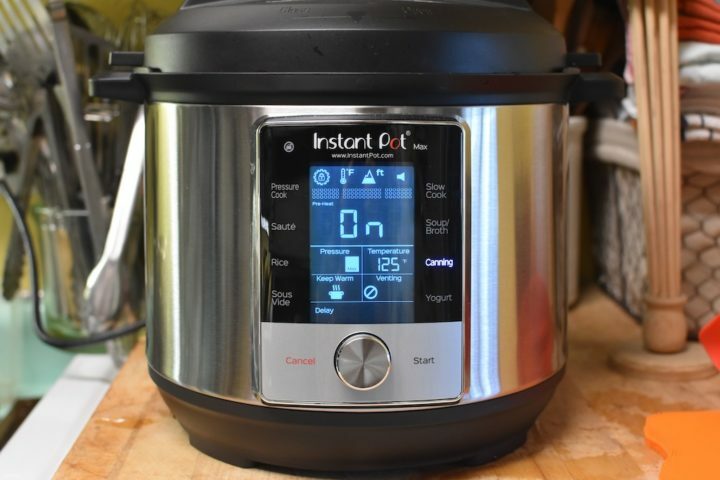 Despite knowing all of the above, when a representative from Instant Pot reached out back in the spring to ask if I might want to test a review unit of the Instant Pot Max from a canning perspective, I said yes. I wanted to be able to speak about this particular unit with some level of first-hand experience and this seemed like a very good way to gain it. So sometime in June, the Instant Pot Max arrived at my apartment. I used it for cooking almost immediately upon arrival and I quickly found myself preferring it over my Instant Pot Duo. I appreciated the large LED screen and the fact that the controls were more intuitive. I liked the fact that the read-out always showed the pot’s internal temperature. And I loved the Automated Steam Release feature, that allows you program the pot to do a quick release when the cooking time is up (this is particularly useful when you’re using it to hard boil eggs). Because I’m a thorough person, I even tested the canning setting. While I didn’t feel comfortable using the Instant Pot Max to process low acid food (my hesitations are laid out in the third and fourth paragraphs of this post), I decided it wouldn’t be too risky to use it to process an acidified product that had optional pressure canning instructions. And so I made a batch of acidified whole peeled tomatoes packed in water and used the timing for pints in a weighted gauge canner. When you can in an Instant Pot Max, it gives you two pressure options. There’s the low setting, which reaches 6.5 PSI (this setting is recommended for high acid foods), and the max setting, which reaches 15 PSI (this is the level they recommend for low acid foods). For my tomatoes, I opted to go with the max pressure, thought it was more pressure than was strictly required. It was an entirely smooth experience and the jars came out beautifully. 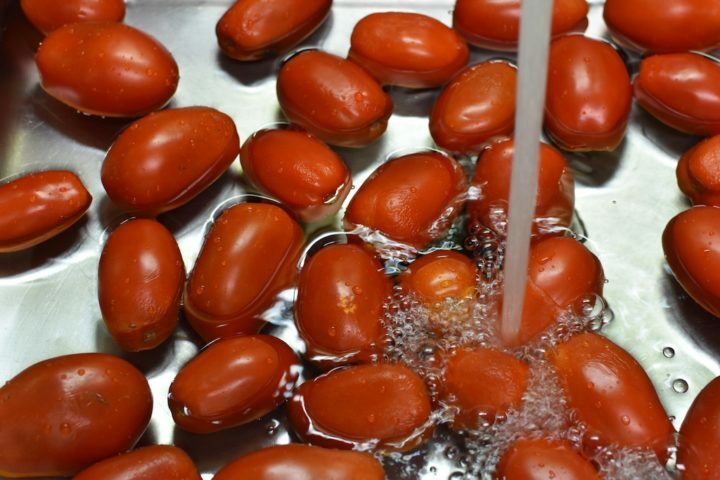 There was less siphoning than you often see with water packed tomatoes processed in a pressure canner. And I loved the fact that I didn’t have to watch a dial gauge and monitor my stove temperature. I look at this experience canning in the Instant Pot Max as a glimpse of what might be possible in the future. 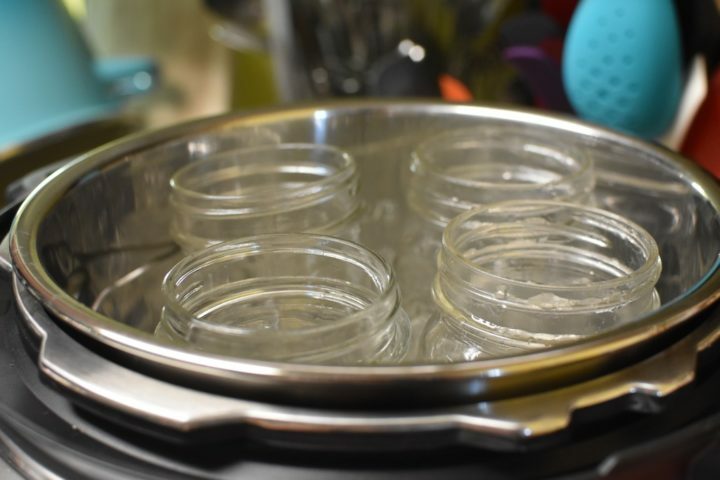 I makes me wish that Instant Pot would team up* with the National Center for Home Food Preservation and fund some extensive testing on this device so that we home canners could use this unit for pressure canning without reservations. Once that was done, I’d then wish for a slightly larger capacity unit that could hold quart jars in addition to pints. 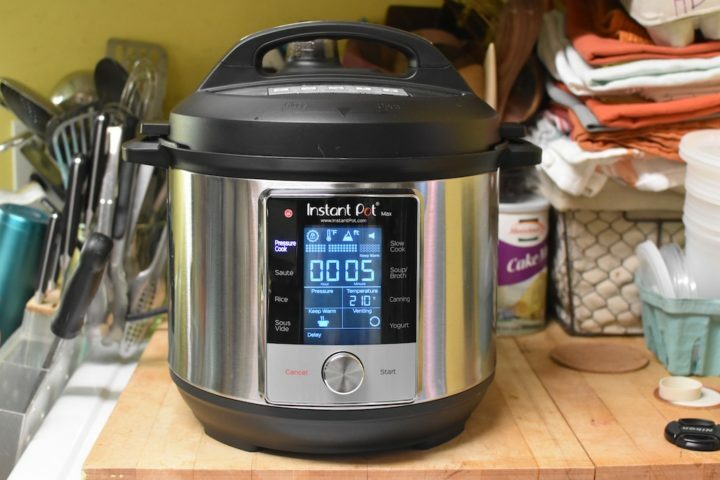 The bottom line is that if you are looking for an exceptionally user friendly and hard working multicooker, the Instant Pot Max is a fantastic unit. However, until more data is available, I cannot recommend that you buy it to use as a pressure canner. Disclosure: Instant Pot sent me a review unit of the Instant Pot Max at no cost to me. No additional compensation was provided and all thoughts and opinions expressed in this post are entirely my own. For Max Canning, Instant Pot is currently working with McGill University, a 3rd party food science research facility to validate the Max meets canning regulations. There are 3 phases to the process, (1) Validating the temperatures, (2) Canning food (low and high-acid) and verifying post-canning result, and (3) Potentially, developing new canning times for certain food groups. We can confirm phase 1 has been completed and the “Low Pressure” 230°F (110°C) setting sustains an average temperature between 110 and 111°C which can be for high-acid canning foods. With “Max Pressure” we can confirm a sustained temperature of 240-247°F (116.5-119°C) for low-acid canning foods. When canning, recipes must be closely followed, modifying cooking times, ingredients or temperatures can be dangerous. So some testing is being done, but I worry that because it’s being done at a Canadian university, the National Center for Home Food Preservation may still not accept it. Additionally, until all three phases of testing are complete, I still do not recommend that people go out and buy an Instant Pot Max expressly for canning. It’s still pretty encouraging. I mostly do jam and most use pints or smaller so this would work for me. But mostly I’m interested in all of the other things it can do like pressure cooking and yogurt. I tell you one thing I would can a LOT if the testing came out ok: beef. I love to can roasts in pint jars (about a pound of beef per pint). It cooks fork-tender in the jar, then is ready for nearly instant beef tips just by adding carrots, cabbage, and flour to thicken. Thanks for the thorough write-up! I will be watching this very eagerly! 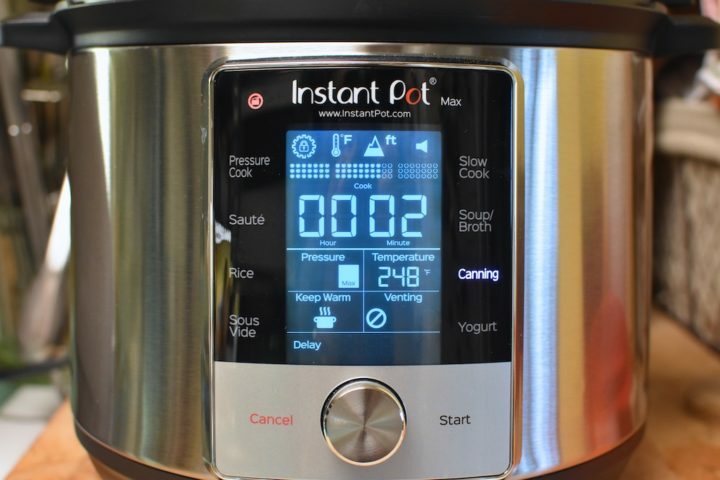 I have been looking to get the 10-1 Instant Pot, because I like the programs on the device. Does the Max have a cake program? Thanks. One other consideration when canning is altitude. I live at 6200 feet, and I have to adjust my water bath canning times for my altitude. So when testing is done, please be sure that a variety of altitudes is factored into the equation. Thank you for your support with this. There re a lot of us out here who can, and an Instant Pot canner would be WONDERFUL! With a family of two, pints are really all that I can. On rare occasion, I do quarts and will use my All American Canner for those. I really hope the IP Max tests are positive. So they confirmed that the Max pass the test for temperatures, and it already claim to maintain 15PSI. Now they have to test that it can well, and if not adjust times. From what I understand, there are 3 elements that are important: Time, Pressure and Time. Hopefully we can soon get the confirmation that the Times are correct. Where did you hear that they confirmed that it is reaching the proper temperature? I’d love to see the documentation! I want to can food to share with my family and until the proper pressure testing is done and safety confirmed I will not buy one. When they complete that process I will purchase one for each household in my family and gardening club! Cannot risk C.bot in food!!!!! I really would love to get into canning! I’d totally buy this once all the proper testing is done as I make lots of bone broth and they take up so much room in the freezer!